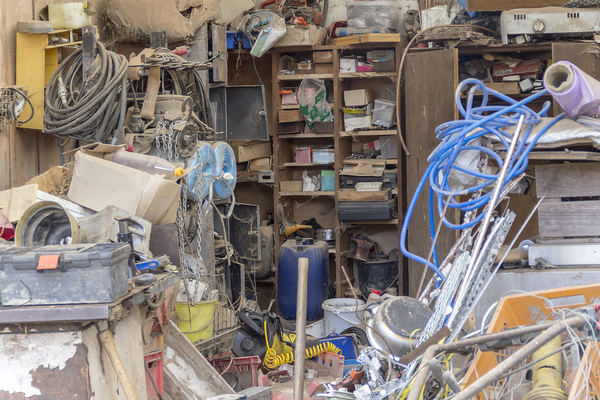 If the mess in your garage has been building up for months (or years) you can’t expect to get it all cleaned out in a day. You don’t want the chore to drag on forever, but you do need to be realistic about what can be done in the hours that you have available. If you have a whole weekend free, you may be able to do what needs to be done in one two-day stretch. If you only have a few hours a day that you can devote to the project, you may need to stretch it out over a week or so. The goal is to choose a realistic time frame that you will need to get the job done, and then stick to it. If you need to give yourself a week to get it done, that’s fine, but don’t procrastinate until the end of the week because you have so much time. Instead, plan out which hours each day that you will spend working on it and stick to that plan. Before the day that you plan to get started, it’s a good idea to sit down and plan how you’ll be dealing with the mess in your garage. “Go in there and clean,” is a good start, but it’s too general to get you very far. How will you deal with garbage? Will you need to rent a dumpster? If so, figure out where you should rent it from, how much it will cost, and how much advance notice you’ll need to give the rental company. Will you need to buy new cabinets or install shelves in order to store the things that you’re keeping? Take a look at your options. Will you have items you want to donate? Look into charities that will come and pick up donated items. Will you have a garage sale? How will you store the items that you want to sell between the time you finish cleaning and the day that you have the sale? Waiting until you’re in the middle of cleaning the garage to consider these questions can derail your progress. Make a plan for them now. Having a plan and a time frame can help, but walking into the garage and looking at the entire mess can still leave you feeling paralyzed. Your best bet is to break the work itself into smaller and more manageable chunks. 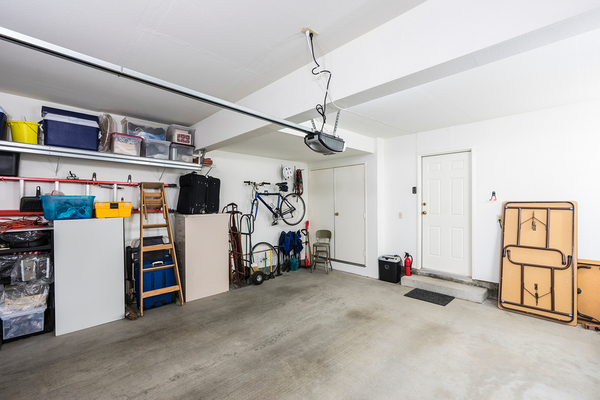 Since the garage is one large room, your best bet may be to divide it into zones. If you want, you can draw a blueprint so that you can easily see how best to break the room into smaller sections. That way, you can focus on working on only one section at a time, rather than thinking about the whole room all at once. Narrowing your focus toward one small segment of the room at a time can go a long way to get you past the overwhelming feeling you get when faced with an entire messy garage.